Getting a credit card can be an important first step toward establishing credit. However, the Credit Card Accountability Responsibility and Disclosure Act of 2009 enforces strict regulations on companies issuing credit cards to consumers, particularly young people, who are most likely not to have a credit history. This means it might be difficult to get credit if you're just starting out. The good news is that there are still many credit card choices available if you’re trying to establish credit. Apply for standard credit cards that feature only a few advantages and low credit limits. These cards often won’t have large balance transfer options. They’re also not likely to offer rewards for participating in certain activities. However, you can enjoy basic credit services while establishing a credit history. When you use these cards, keep your credit usage ratio in mind. Being conservative with your credit card utilization rate goes a long way in establishing good credit scores. 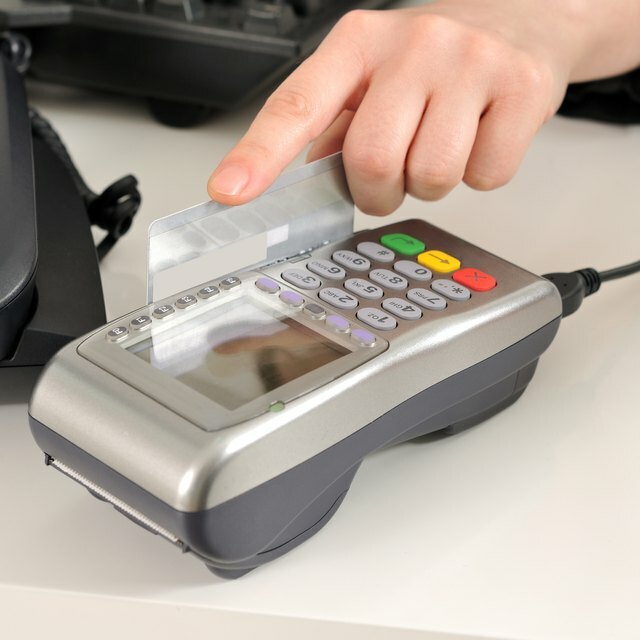 Experts suggest keeping credit usage on any given card below 30 percent. This means you can spend no more than $90 on a card with a $300 limit -- 30 percent times 300. But maintaining low balances is a good way to manage spending for new credit users. Secured credit cards require an initial deposit, but can improve your chances at building credit. With these cards, your credit limit caps at an amount equivalent to your security deposit. You pay your monthly bill as with any other card; the deposit is only used to pay off the balance if you've fallen far behind on your obligations. Can I Open a Credit Card for My Child? Can You Purchase a Prepaid Credit Card Under the Age of 18? Secured cards give the lending institution a chance to gauge your ability to pay bills or repay loans on time at relatively low risk. You get to prove your financial prowess and build credit history at the same time. The credit card companies often report secured card activity to the major credit bureaus, and these cards carry the same weight as non-secured cards when calculating your credit score. You can increase the likelihood of getting a credit card if you get someone to cosign your application. Make sure the person understands that your handling of the card impacts their credit history. If you miss payments, she’ll get dings on her credit reports as well. Credit card companies that allow cosigners often accept a parent or a spouse who has a good credit history. They might base your credit limit on the strength of the cosigner’s financial history, so you might get a lower interest rate and higher credit limits. Knowing that someone close to you will be unhappy with you if you miss a payment might be an incentive to help you keep the card in good standing. Often, the only limit on prepaid cards is the amounts you choose to deposit. They’re useful for controlling your spending, but you’ll need to conserve your reload habits. You can spend whatever you deposit, and you never need to worry about late fees or high interest rates. Prepaid card companies don't report your spending habits to the bureaus, so the cards won't help you build a credit history, but they do allow you to pay with plastic as opposed to cash or personal checks. U.S. News & World Report: What's a Good First Credit Card to Build My Credit Score?